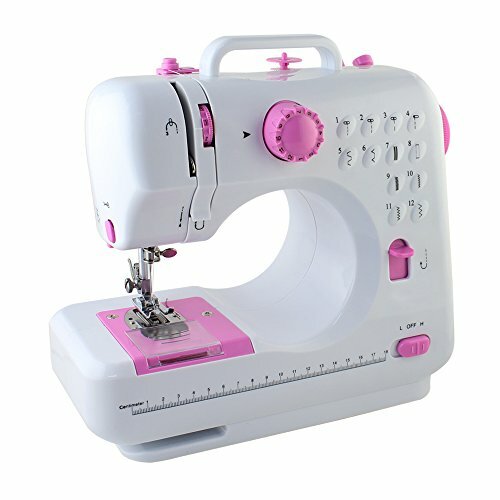 Home / Sewing / What Is The Best Sewing Machine Under $100 To Choose From? 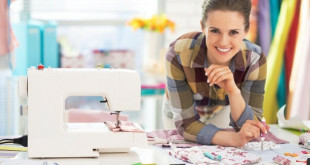 What Is The Best Sewing Machine Under $100 To Choose From? A sewing machine has become a vastly used tool for professional sewers worldwide and also for home enthusiasts. It isn’t difficult to see why these machines are loved as they are quite versatile and utterly strong. However, the sewing machine can be a great tool to use at home and they are durable as well. The whole purpose of the sewing machine is to stitch together materials such as fabric to create cushions, clothing or curtains. The garments can be sewn together automatically by the machine using strong thread. The sewing machine can be used in a variety of tasks and are vastly sought after with hobby and craft experts too. The sewing machines have been around for hundreds of years and the home sewing machines are perfect for everyday use. The machines are usually a one person use tool and come with a single stitch setting. They are very convenient to use and are very different from the industrial sewing machines as those are far larger in scale. Read on and find out our recommendations for some of the best sewing machines at the fairest prices. The Brother LS2125i easy-to-use everyday sewing machine has to be amongst the top, the very best sewing machines available today. This not only looks great but it does what you need it to do and so much more. For starters, the easy-to-use design is perfect as it makes getting to grips with this extremely simple. You are not going to struggle to use this even if you haven’t used too many of these items before. Electric sewing machines such as the Brother are quite a lovely tool and it’s really easy to learn with as well whether you’re a beginner or expert. Most people would think this machine is only for experienced sewers but in truth it’s not; you can be just starting out and find a lot of use for the sewing machine. This comes with ten stitch settings such as zigzag and even blind hem so it’s quite versatile and the four step auto button hole feature is amazing! This is in fact full size and you might be surprised by that. You don’t often see a full sized sewing machine for such a great price so that is truly a real winner! However, it’s still very light and portable too so again that is really quite important. 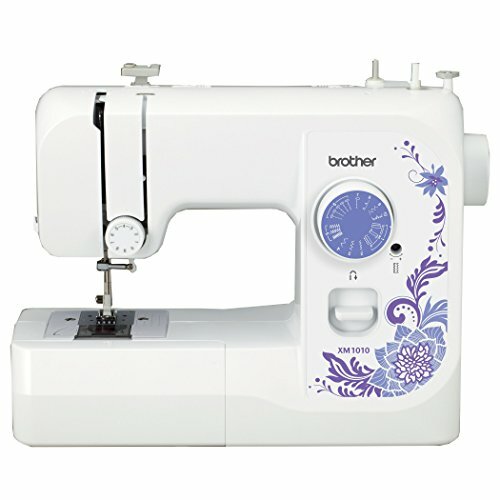 If you’re someone who travels a lot or needs to be able to transport their sewing machine often, the Brother is a perfect option. Being able to customize your sewing to however you’d like is truly amazing and offers more quality than ever before. The flat bed along with the carrying handle is really quite high quality and the simple additional features to accompany this are out of this world! You’re also getting a very good and fair price. If sewers want a strong quality machine that packs a real punch and still comes out fighting, the Michley LSS-505 Lil’ Sew & Sew multi-purpose sewing machine has to be it! This beautiful sewing machine looks very simple and yet it offers so much. There don’t often get to see a basic-looking sewing machine that delivers on high performance and perfect finishing. A lot of people are in fact fooled by the look and yet there is still something special about this sewing machine. You can see there is true quality on offer and that has to be remembered because it’s going to be what separates you from the next sewer. However, the overall plain white feel looks nice and the easy to use buttons and settings are nicely labeled as well. However, the machine is easy to set up and use whether you have used such tools in the past or otherwise. However, it’s price is really quite appealing and it isn’t a cheap or inferior product, it’s really fantastic. There are eight different built-in stitch patterns which are great and there are two different settings for speed so you can change the speed settings to however you like. The slower speed can be perfect for beginners just starting out and the quicker speed for those with sewing experience. 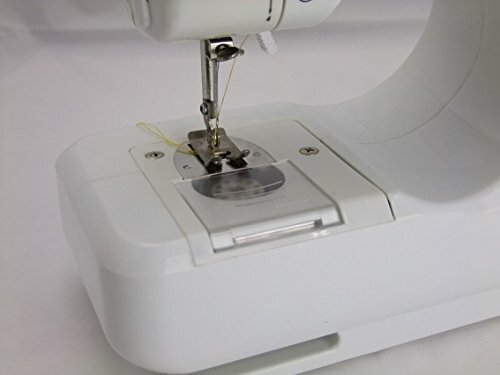 The double thread, forward and reverse sewing features are amazing and easy to use. This is truly a multi-purpose machine and it does offer everything you’d need and more. Setting this up is quite simple to do and once you have it up and running you can easily use this for whatever purpose you have. When you search for a new sewing machine you probably don’t give the finish or look a second thought and it’s not hard to see why. You don’t necessarily need a machine that looks pretty but rather one which is strong, durable and does what it says! 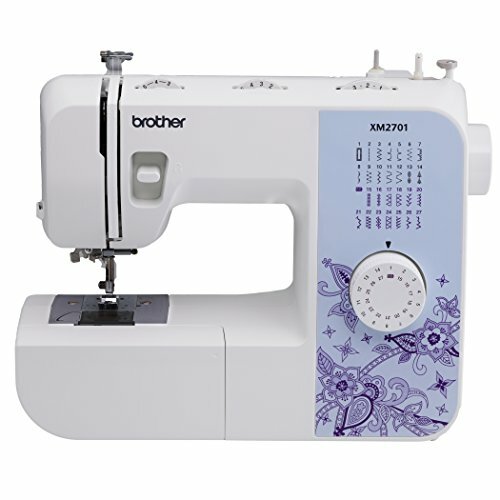 With the Brother XM2701 lightweight full featured sewing machine, you are going to get all that and so much more. However, it does come with a lovely design and finish so that is a real bonus! The stunning floral pattern to the front is amazing and it offers a little more elegance too. However, the construction of the sewing machine is second to none; it’s true quality. That is going to be something you adore and it’s so easy to see why. You aren’t paying too much for this either which is again a great feature as you don’t always have a lot of money to spend on new machines. The Brother is a very easy-to-use machine and that might surprise you. There is nothing complicated or complex about this and there is real value within it. That is very good as this is what you will need time and time again. However, the machine is quite versatile when it wants to be and it can handle a huge variety of sewing tasks as well. This is a perfect tool for those starting out as well as those with a lot of sewing experience. There are at least twenty seven different built-in stitches to choose from and that helps to make it a little more versatile. However, you can choose from stretch stitching to zigzag and even auto size buttonholer! There are lots and that is great as it helps to ensure the quality of the machine. Tackling any sewing project or task won’t be an issue, it’ll be extremely easy. Anyone who is going to tackle a big sewing project will find this makes things easier and so much faster! You can easily set this up and once it is, it’s good to go. Singer is a big name in today’s world and when it comes to sewing machines you are truly going to get a real quality piece. 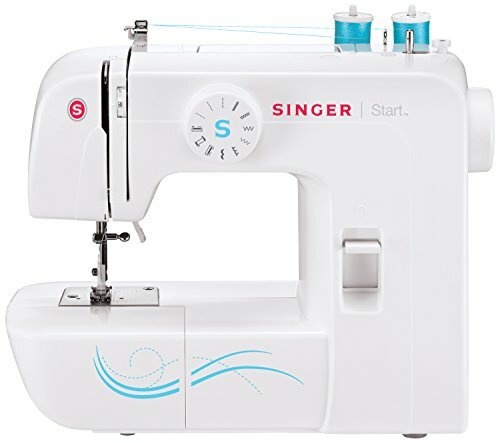 The Singer 1304 start free arm sewing machine with 6 built-in stitches is a fantastic machine to consider and it’s one that has so much to offer. The design may appear very simple and yet there is something that stands out about it. The plain white design with added color is really nice. You’re getting a clean and easy-to-use machine that not only looks good but offers everything you’d ever need. The feet on the bottom of the machine is strong and sturdy and they will help to keep the machine upright and sturdy during use. Keeping this machine clean and maintaining it is actually quite easy to do; you won’t have too much trouble. However the cost for the sewing machine is quite affordable and that has to be the standout feature here. You don’t often get to see a sewing machine that offers so much for such a small price! This isn’t the only good point as there are six built-in stitches which are buttonhole, blind hem, satin, scallop and zigzag. They’re all great and the three snap on presser feet is easy to use as well. Choosing between one stitch setting and another is quite simple and you shouldn’t have too much trouble either. This isn’t too heavy and it is quite easy to transport and carry around. You shouldn’t have too much trouble in terms of portability. However, it is easy to set up and beginners and experts will enjoy using this. Anyone who wants a great quality sewing machine must consider NEX. 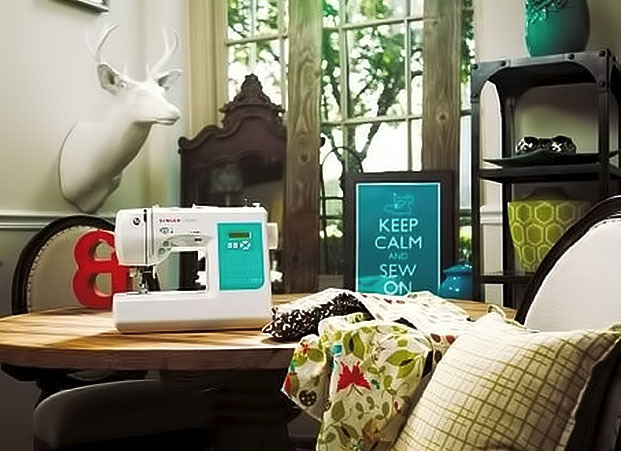 The NEX LSS-505 sewing machine with 10 built-in stitches is truly a great quality piece. Any sewer will adore getting their hands onto this and it’s not hard to see why. There is so much to offer here and while the design may look nice, it truly is a professional machine. Now, in terms of design, it’s strong, durable and very reliable. Those are the features you absolutely want and need as it’s what keeps the machine focused and on target. However, the finish is appealing as well. This has a more girly feel to it since it comes with finished pink turn handles and buttons but it isn’t too bad! It does help to make the machine standout much more. The free arm sewing machine is a perfect addition to any sewers collection and it’s quite versatile too. This is a multi-purpose machine and it’s great for crafters and sewers. You are not going to find a better machine and it does come with a lovely and fair price as well. For those working with a budget, this is the perfect machine for them. The NEX sewing machine is great for beginners as well as those with more experience. The double speed and double thread features are nice and super easy to use. You can also choose from the reverse or forward stitch button and it’s quite light too. This will make the machine easy to carry around and it’s compact too which helps to reduce overall space taken up. You might not think too much about that now but it can be very useful in the long-term. Check out these specialized sections with: low budget machines for quilting, for denim, for leather, for kids, by Janome. Previous What Is The Best Sewing Machine For Quilting? Next What Is The Best Sewing Machine Under $200?